Because IVF is expensive and insurance coverage of costs is rare, most couples are often unable to undergo treatment when faced with having to pay out-of-pocket. Look: There are many IVF financing options available to you so that you can affordably undergo treatment and build your family. The best part? You do not have to raise your risk of conceiving a multiple pregnancy by transferring more than one embryo in a single cycle. At New Hope Fertility Center, we promote Single Embryo Transfers (SET). Bottom Line: You can have one baby at a time without raising your IVF financing costs and expenses. Our Financial Counselors will help you navigate the costs and expenses of IVF treatment so that you can focus on successful treatment. We have several solutions to help finance your cost of IVF treatment. With low interest rate loans that are available to qualified patients, it is easy to apply for and receive financing without hurting your credit score. United Medical Credit offers affordable payment plans for IVF and other infertility treatment procedures. They have an extensive network of prime and subprime loans. Parasail Select is an online loan search engine offering a user-friendly application process. With a secure online application, you can begin treatments immediately. We participate with many insurance providers, including those extending out-of-network benefits. Even before your initial consultation, our Financial Counselors will contact your insurance company and help you determine your specific eligibility for infertility treatment coverage. Our counselors will obtain a comprehensive understanding of your coverage for treatment and explain it to you during your initial consultation. Crowdfunding is an online movement to raise funds from the general public. The movement works on the premise that collecting relatively small amounts for many people is easier than financing large amounts from one or more financial institutions. You can use a crowdfunding site to easily build a campaign to generate funds from your personal network of family, friends, and others who support family building efforts. Share your crowdfunding site on social media and find financial support from places you’d never expected. This is our revolutionary outcome-based financial service. IVF SURE™ combines cutting-edge IVF treatment with guaranteed results. Because it may take you multiple IVF cycles to conceive, we bundle the cost of your treatments so that you can save with this no-risk program. If you don’t get pregnant – we will reimburse your money. Because lower dosages of fertility medications are prescribed to only produce 3 to 5 high quality eggs, the patient’s expense per Mini-IVF™ cycle is reduced. With a Mini-IVF™ protocol, the patient’s physical discomfort is lessened because her body is not forced into producing the 10 to 15 eggs reached in a Conventional IVF cycle. 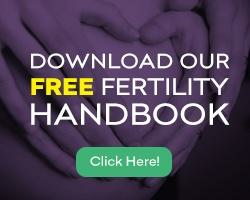 Contact the Fertility Experts at New Hope Fertility Center. To schedule your initial consultation, click the icon below – or – call 917.525.5496.